So, I’ve been chewing on the recent joke debacle involving Melissa Harris-Perry, her round table guests, Mitt Romney’s recently adopted Black child and the tear filled apology MHP delivered this weekend. Don’t know what the drama’s about? Peep the view below. So, let me disclose a few things upfront. First, politically, I’m pretty liberal. I used to lean so far left that I might tip over, but I’ve found myself flirting with being more moderate in recent years. That said: I’m not a fan of Mitt Romney. Second, professionally I work on diversity issues. I met Melissa years ago before she blew up on MSNBC. We share colleagues, and we share a mentor in common. I appreciate her social critiques. She’s a smart cookie. It’s awesome to see another young woman of color doing big things and wrestling with big issues—and doing that ish on national TV! You. Go. Girl. Third, I LOVE that song, “One of these things is not like the others…” I’ve been known to use it in my teaching. Fourth, I’m unabashedly irreverent when it comes to issues of diversity. I have good/bad days on issues of race, sexuality, religion and the list goes on and on. It find it absurd that as a diversity professional I have so much job security because people can’t seem to just get over their ish about issues of difference. I find it appalling that since Obama became president my work has actually become harder than it was 10 years ago because people want to wax philosophical about “wanting their America back.” I find it disturbing that we could play that game “…in bed” with some of the stupid things people say, just instead of saying “in bed” we might substitute “from the Black guy” or “because of the lesbian” or “from the Muslim” or “because of the poor people.” Yeah, I said that. So, now that the disclosures have been made, what do I really think about the clip shown above? Truth be told, not much. I think it was used to make a lot of political hay on both sides. I have a lot of thoughts about what wasn’t said in the clip but what seems to be a part of the narrative about transracial adoption and privilege. We live in a world that spins on privilege. Don’t know what privilege is? Peggy McIntosh’s Unpacking the Knapsack of White Privilege is a good place for you to do some foundational reading on racial privilege. Having privilege is having social capital that grants you ease in a navigating through our social and institutional structures. Privilege can be based on race, gender, class, religion, sexuality, all sorts of characteristics. You can be privileged in some areas of your life and not privileged in others. Some might say that being both Black and a woman, I lack some social privilege. I know that I have felt not privileged or even equal at times because I am both Black and female. But I’m educated; I am middle class; I live in a prominent city; I am straight; I am Christian; English is my first language and I am a native born US citizen. I’ve got privilege for days because my degrees give me social credibility; I can afford a nice lifestyle and have choices about where to live and how to educate Hope, I live in a city that affords me more choices than some other places; I am not personally affected by laws that prohibit LGBT folks from marrying; I practice a faith that some folks think is the only one that matters; no one asks me to repeat things because of an accent that is something other than the traditionally Southern dialect that I sometimes slip into, and I have a US passport easily acquired by producing my “Virginia is For Lovers” birth certificate. Do I think the family will have to navigate some issues in terms of racial identity? Probably. Do I think Mitt is a racist? No, but I don’t think he gets the concept of privilege at all—this adoption might give him a taste. Do I think he and the rest of the Romney brood are trying to figure out how this thing is going to work out? Probably. Do I think they are all stretching like the rest of us adoptive parents? Yep. There’s just some stuff on this adoption journey that I think privilege can’t buffer. Make that a lot of stuff. I think that the narrative of White families of privilege adopting Black children is glamorized. 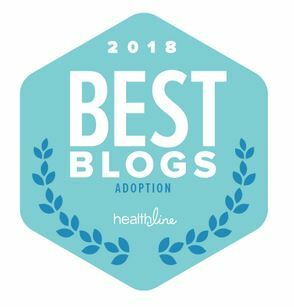 I commented on another blog recently about how few People of Color (POC) I see in adoption promotional media. We’re out here, but I think that the privilege of race frequently marginalizes us out of the adoption narrative. Do I think that the class privilege is real for a lot of these White adoptive families? Not as much as I used to. Admittedly, I certainly see privilege among my fellow POCs who have chosen to adopt, myself included. Do I think that POCs often sit back and question why White families adopt Black children? Yep, and I’ve been curious as well. Do I think that we all wonder about the social implications with respect to racial identity and personal development? Yep. It all seems and feels so complicated. A lot of times it is complicated. Socially, we typically don’t like things that are different. We simply don’t–it requires us to stretch and stretching can be uncomfortable. Seeing families that are not what we expect makes us uncomfortable. Reading narratives that are different from what we think it should be make us uncomfortable. What do we typically do with unavoidable discomfort? Often we joke, make light of it and fall into a ridiculous denial of the issues at hand. That is when our humanity is vulnerable and visible, and we are most likely to fail in living up to our potential. The MHP story was just a tiny pebble on a beach of rocks related to perceptions about adoption, race, class, with a dash of politics on the side. I did stumble across something else here. I realized as this all played out that same race and biological families have some social privilege that adoptive families don’t. Certainly same race adoptions can fly under the radar and acquire assumed bio-privilege (They can “pass”). But transracial adoptions? Nope, it’s too obvious and too different. Had little baby Romney been White, none of this would ever have happened because he wouldn’t have stood out in the big family picture with Grandpa Mitt. I should also note that had Grandpa Mitt been a left-leaning Democrat this probably never would’ve happened either; Democrat social privilege might’ve led to a celebration of sorts that played into the “See, the Democrats really like us! They really, really like us” narrative. Sigh. Does this make MHP or her guest jokesters racist? I think they were uncomfortable figuring out how to reconcile a family led by someone who struggled with garnering Black folks to vote for him with said politico now having a Black grandkid. Hell, I think it’s a bit ironic too <shrug>. But I don’t think that’s racist (a term that gets thrown around wayyyyy too much if you ask me). The episode showed discomfort with the perceived irony about the mishmash of all kinds of social privilege being turned upside down. And Melissa trips over this particular issue of biological privilege in her apology. I think she realized it when she looked at her own multiracial family and saw the hypocrisy of giggling about a Black child bouncing on the knee of White guy who appears to be excited about his family. I’m sure some of those kinds of pictures are in Melissa’s house somewhere, but the privilege of biological family wasn’t something she was consciously aware of. I’m not sure she still has a name for it, but make no mistake—this was still about privilege. So there’s my dime store commentary of the Harris-Perry/Romney Joke episode. Privilege is real, and it’s everywhere, even in adoption. I wish my colleague well and I wish the Romneys well. Yeah, that last bit was some shade. Oh, if I could bang out 1500 words at a time on my dissertation…smh. This entry was posted on Sunday, January 5th, 2014 at 6:40 pm	and tagged with adoption, Bio Family Privilege, Melissa Harris-Perry, Race, Social Privilege, Transracial Adoption and posted in Other Stuff. You can follow any responses to this entry through the RSS 2.0 feed. Thank you very well put! !